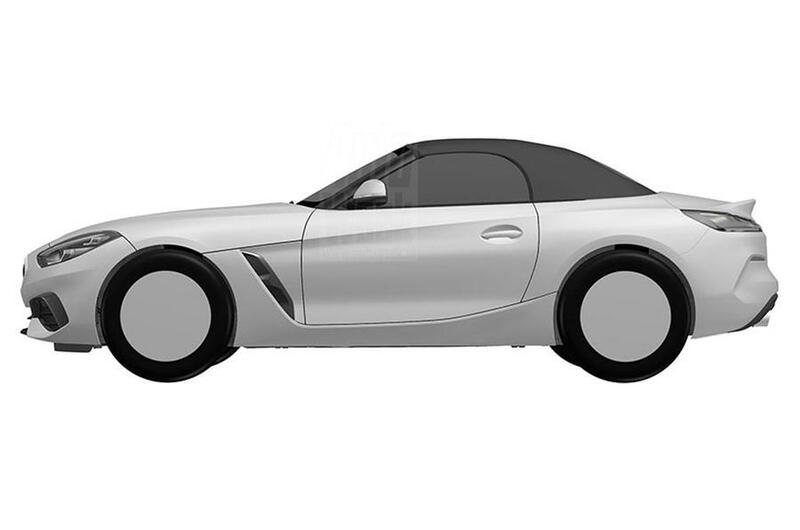 Patent drawings of the much-anticipated novelty BMW Z4 2019 have spread by the Internet. Photo of the car came on behalf of the Dutch edition of Autoweek. The new roadster will officially debut at the end of summer for a retro show in American Pebble Beach. As you can see, the brand-new BMW Z4 is very similar to last year's prototype, but the car is much more reserved. The novelty boasts a long hood, large teardrop headlights, as well as a soft roof that replaced the metal folding top. 3rd generation of BMW Z4 will be based on a new rear-wheel drive base, as well as the revived coupe Toyota Supra 2019. According to rumors, the German car will get gasoline turbocharged engines 2.0 to 252 hp. and 3.0 for 360 "horses". Choose to them you can have a six-step "mechanics" or an eight-step "automaton".